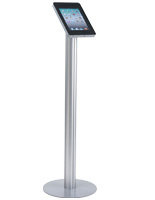 This silver iPad floor display has a fixed height of 46.5” tall, but has a dynamic display case for Apple® devices that will rotate 360° and tilt as well. 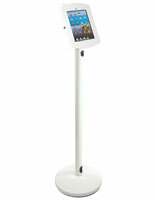 The iPad floor display has a 14” base and that allows the kiosk to fit into tighter spacing without getting in the way. 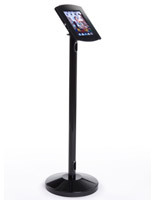 The tablet holder features an attractive finish that will match residential and commercial environments. 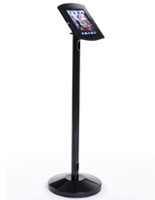 The built-in cable measurement of the displays are made up of 2 holes that feed the cable to a power supply in a neat and orderly way. 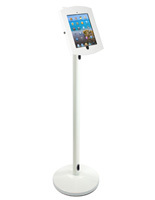 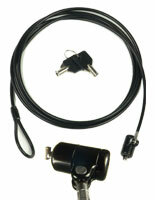 The holder is easy to assemble in just measures and comes with a Square card reader bracket. 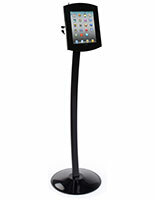 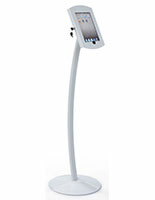 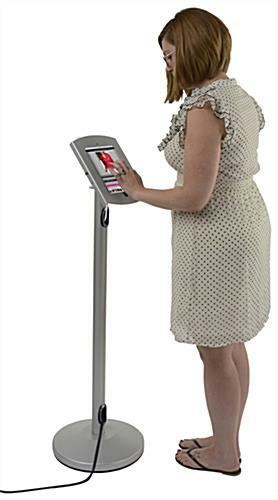 Place the iPad mount as an information center or set it in retail situations as a POS kiosk. 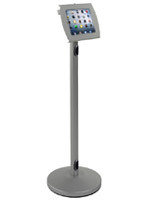 9.0" x 48.0" x 0.75"